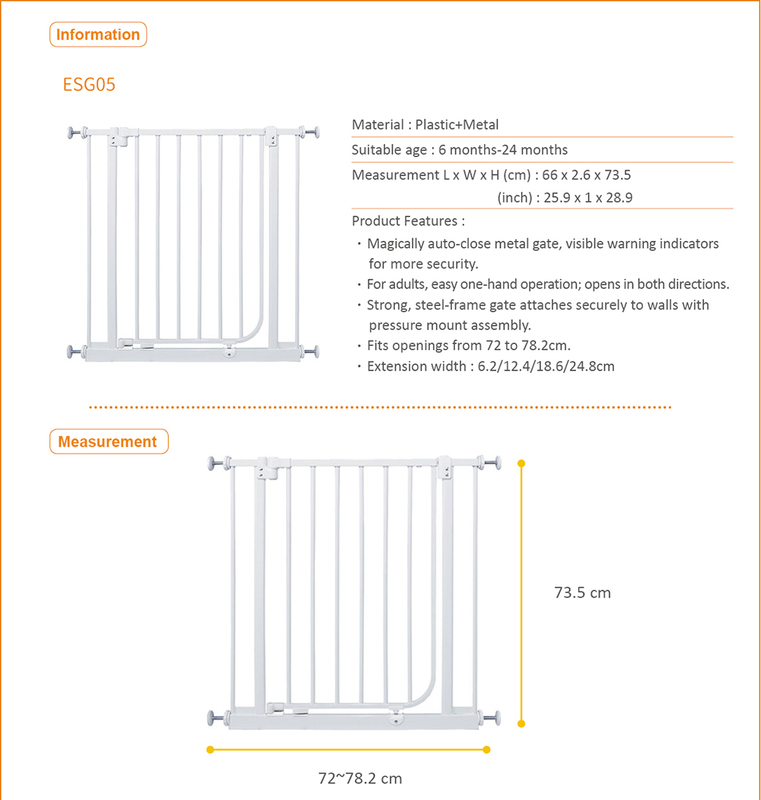 Magically auto-close metal gate, visible warning indicators for more security. 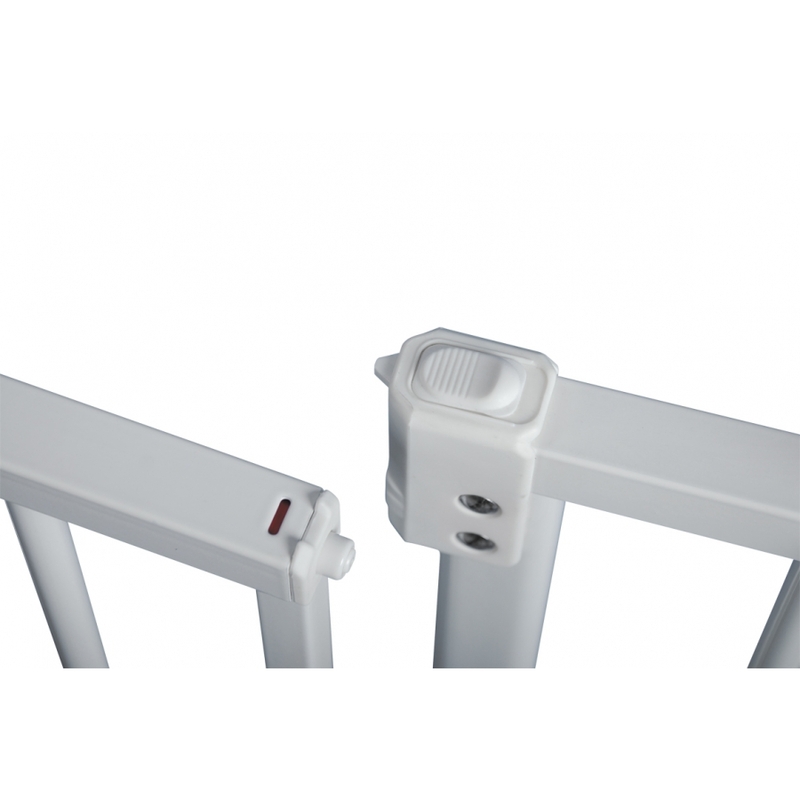 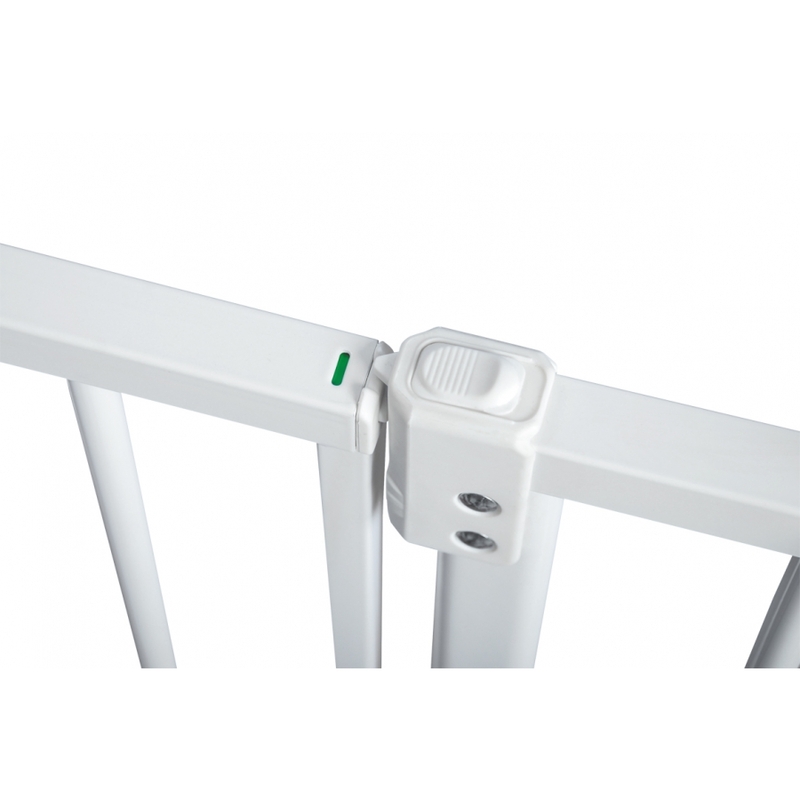 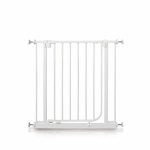 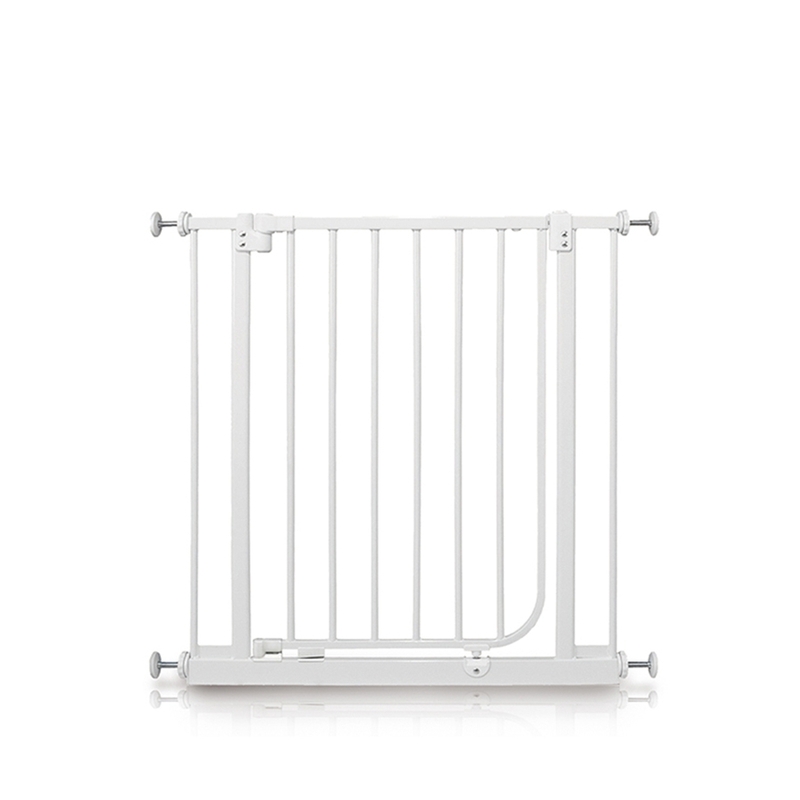 Strong, steel-frame gate attaches securely to walls with pressure mount assembly. 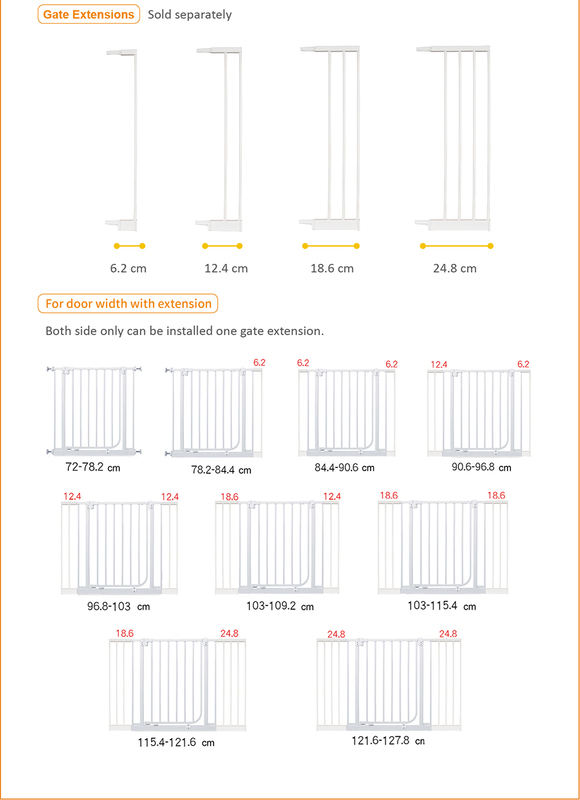 Fits openings from 72 to 78.2cm.